Owen E. Thompto, 89 of Eau Claire passed away on Friday, January 11, 2019 at his home. Owen was born on June 15, 1929 to Harry and Florence (Kaiser) Thompto in New Auburn, Wisconsin. He honorably served from 1948 to 1950 in the US Army. Owen married Joyce Mullian on December 30, 1949 in Pine City, Minnesota. 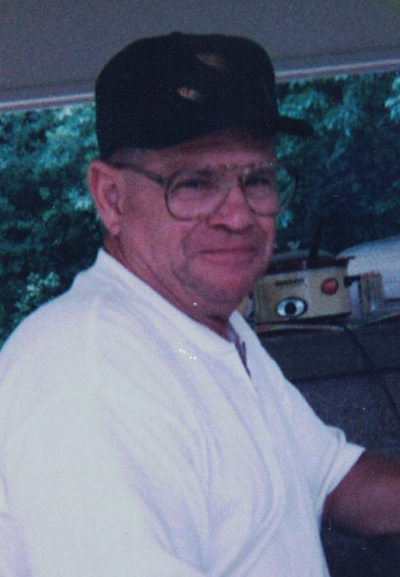 Owen worked for the City of Eau Claire for many years. Owen is survived by his children, Michael (Chris) Thompto, James (Kim) Thompto, John Thompto, Stephen (Lynn) Thompto, and Susanne Thompto (Rod Roswell); grandchildren, Paul Falkner (Ashley Anibas), Joe (Rose) Thompto, Brian (Chunzi Lin) Thompto, Michelle (David) Richards, Alan Thompto, and Jennifer Thompto (Josh Kelly); great-grandchildren, Savannah Thompto, Rhett Thompto, and Owen Richards; siblings, Robert Thompto and twin brother, Orin (Lois) Thompto; and many nieces and nephews. Owen was preceded in death by his wife, Joyce Thompto; brother, Harry Thompto; and sister, Phyllis Dawson. Funeral services will be Tuesday, January 15, 2019 at 11:00 am at Smith Funeral Chapel with Rev. Robert Hoekstra officiating. Visitation will be from 9:00 to 11:00 am on Tuesday at the funeral home. Burial will be at Rest Haven Cemetery at 1:00 pm on Tuesday. Friends and family may leave online condolences at www.smithfuneralec.com.